Water is an irreplaceable natural resource and the source of all life on earth. It is a tasteless and odourless, clear and colourless fluid, which consists of two of the most common elements in nature: hydrogen and oxygen. Besides suspended minerals and organic particles in soluble form, natural water also contains various gases (e.g. oxygen) and solids (mineral nutrients). Water is also a storehouse of information. Water contains imprinted energy oscillations, or information, which, amongst other things, influences homeostasis (the body’s own regulatory system). Therefore we are not only concerned with physically cleaning the water from pollutants but also with the energetic deletion of the information of pollutants. The AquaKat® is a water revitalization device that emits subtle information patterns which have the effect of changing the characteristics of water. In the same manner as a catalytic converter in a car changes harmful pollutants into less harmful emissions, the AquaKat® changes the nature of water by transmitting specific frequency patterns to it. Charged information in the AquaKat® causes water to resonant at a specific frequency (much like a tuning fork when struck will cause a nearby stationary tuning fork to also start resonating). This causes water’s crystalline structure to take on the attributes of natural spring water (see photos below). Based on our understanding of water’s ability to store and emit information, the following can be deduced regarding the effect of the AquaKat: It alters the “memory’ of the water by changing the clusters within it, so that the information patterns of tap water adopt an oscillation identical to that of the AquaKat® (see graph below). Water revitalization with an AquaKat® increases water’s vitality, gives it a softer feel and improves its taste. Water filtration and reverse osmosis systems will cleanse water of various substances: chemical, heavy metal and organic contaminants. Unfortunately, they do not restore the energies and information related to them nor do they restore the vitality (life) to water – necessary in activating water’s natural healing abilities. To date only a few scientists have recognized the energetic and informational impact attributable to drinking water pollution. 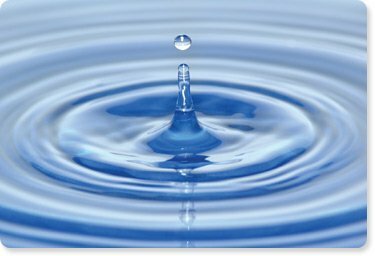 One of the best known, Wolfgang Ludwig, advocates the theory that “water contains certain signals, even after being treated, which depending on their wavelength, can be detrimental or damaging to health”. Imprinted energy oscillations contain information. Therefore pollutant oscillations in the water also contain information that influences homeostasis (the body’s own regulatory system) among other things. This means that in order for water to be clean or harmless, because its pollution levels are within allowable limits, it is necessary that energies and informational frequencies related to these pollutants also be eliminated. Ludwig concluded that the informational frequency imprints of these pollutants need to be removed through water revitalization processes – such as the AquaKat® is able to provide. As already mentioned, water contains imprinted energy oscillations, or information, which, among other things, influences homeostasis (the body’s own regulatory system). This means that water is not just clean or harmless because its pollution levels are within the allowed limits, but also that energies and possibly harmful information relating to them also have to be eliminated. Therefore, it has to be living (or vital) water. Commercial establishments, including restaurant, bakery, grocery store, spa, tourist accommodation, car wash, laundry, hair salon, etc. The AquaKat® is easy to install. No plumbing is required. It is usually, simply, clamped or strapped onto the main intake water pipe. In cases where the AquaKat® cannot be attached centrally to the main water pipe it can usually be fitted in an alternative location. [Example: in an apartment suite a medium or small AquaKat® may be positioned on the water pipe in the kitchen (under the sink), in the bathroom (on the shower apparatus) and/or on the intake water line to the washing machine.] The small AquaKat® is also well suited for travelling, for use in hotels or recreational vehicles and for use in conjunction with a water filtration or reverse osmosis system. The AquaKat® can be fitted to all pipe materials. One benefit of water revitalization with the AquaKat® is that lime build-up inside water pipes becomes dissolved and does not re-form. The reason for this is that the water regains its natural capability to hold dissolvent mineral substances as microscopic particles – 200 to 300 times smaller than before (the diagram opposite illustrates the difference). This means that lime does not build up on pipes, in hot water tanks, hot water heating systems, appliances or in commercial, industrial or agricultural operations, especially where water is recirculated or heated. Similarly, rust in steel pipes is dissolved and then washed away like other substances in the water, instead of accumulating or staining fixtures. Microscopic examination has shown that practically no coagulated crystals form under the influence of the AquaKat®. Instead, small round and isolated singular crystals are formed that have the additional effect of stabilizing the hardness of the water. In another comparison, the crystal scientist Dr Elmar Langenscheidt has re-tested the well-known crystallization behaviour of ascorbic acid. In water that was informed by the AquaKat®, ideal typical uniaxial crystals are formed. Their centre is clearly recognizable. It becomes the centre of a radial corona of interference colours, which indicates a closed crystal structure. It is widely accepted that good quality drinking water is an essential and healthy part of our daily diet. The minerals that it contains, such as potassium and magnesium, are also part of the water and give it its good taste. Calcium is also part of this; however, it can have side effects. It may be good for the human body, but the buildup of calcium (lime scale) in pipes, in hot water tanks, on plumbing fixtures, kettles, etc. can cause significant problems and costs. What most people do not realize is that water that is too soft can also cause damage – by corroding metals and metal surfaces. Rust can eat away on the inside of pipes. Lime can therefore be useful, even important. Just to get rid of it means also to give up its protective properties. This is why water experts recommend leaving the valuable calcium in the water! Modern water treatment techniques and systems, such as AquaKat®, work on the calcium in such a way that prevents it from settling as harmful lime scale, while allowing it to retain its protective properties. 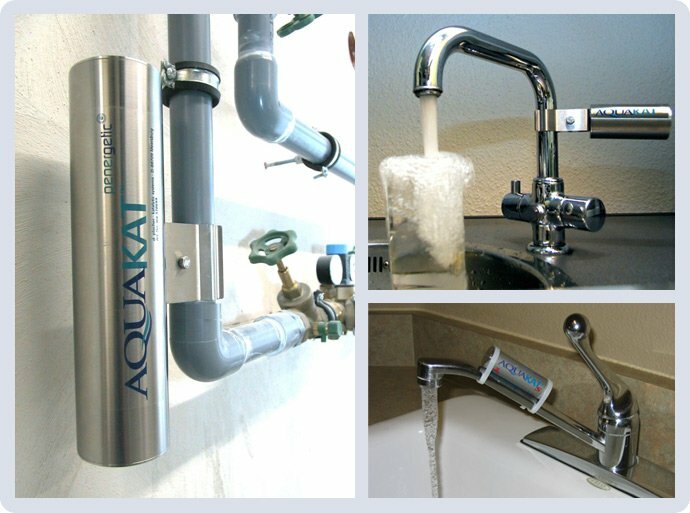 By addressing problems of lime build-up in pipes and on fixtures and by eliminating rust stains on plumbing appliances and elsewhere, the AquaKat® can eliminate the need for a water softener and/or iron removal device – saving money on water equipment and replacement products (salt, filters, etc.). Also plumbing systems work more efficiently (at increased capacity), hot water tanks last longer and water heating energy costs are reduced. These are all factors which enable the AquaKat® to pay for itself quickly. For most households a Large AquaKat (AquaKat L) will have sufficient capacity for all household requirements. Nonetheless, frequently in a single family residential dwelling a Medium AquaKat (AquaKat M) can also be added after the hot water tank to further support the revitalization process of the hot water supply. * USG = U.S. gallon ** AquaKat Flow has threaded ends and the water flows through it. The Small AquaKat® can easily be affixed to a household tap, faucet or showerhead. It is ideal for revitalizing household, drinking and service water at individual taps and for travelling. 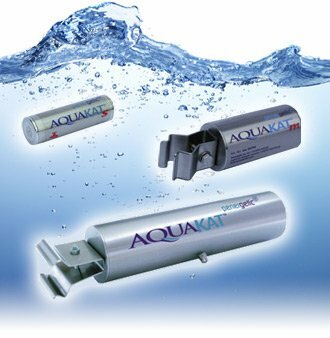 In cases where it is used in conjunction with a water filter or reverse osmosis water system the AquaKat® S should be installed on the downstream end of such systems. In addition to its general use, the AquaKat® may also be used in swimming pools and hot tubs. The AquaKat® increases the quality of the water in a swimming pool or hot tubs. Installation should take place after the filter. While chemical and mechanical filtration systems are still necessary, water testing should reveal that with the AquaKat® the use of chemicals can usually be significantly reduced. It is recommended that at the outset (when the AquaKat® is first installed) that no adjustment should be made to other pool maintenance systems (filters, chlorination program, etc. ), yet a monitoring program respecting pool chemicals (chlorine level, etc.) should be undertaken to gauge the extent to which the use of other pool maintenance systems may be gradually reduced. In some cases, private swimming pool owners that have installed a swimming pool AquaKat® have been able to dramatically reduce or eliminate the need for pool chemicals or mechanical filtration. However, each operating system and pool is different and individual pool / hot tub owners will need to assess their own situation. 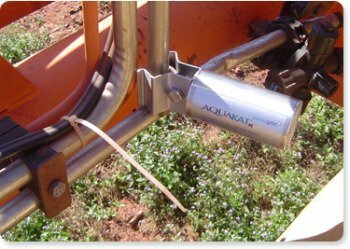 In commercial, industrial and agricultural operations, where larger water volumes are often used the AquaKat® XL (capacity 1,600 USG/day) and the AquaKat® XXL (8,000 USG/day) may be used. More than one AquaKat® can be used at the same time. For instance for an operation with a daily want use of 16,000 USG two AquaKat® XXLs can be used in sequence/tandem with one another. The produce manager in a grocery store observed that his store’s produce now has a better shelf life, experiences reduced deterioration (e.g. overcomes lettuce wilting) and looks fresher, since having installed an AquaKat® M on their produce water misting operation. In the same manner as humans benefit from vitalized water, animals also signal an appreciation for AquaKat® vitalized (or restructured) water. A simple experiment is to give livestock AquaKat® vitalized water in one water trough and give them their regular water in another adjoining water trough. The animals will show a preference for the vitalized AquaKat water (and there is no placebo effect with animals, as there can be with humans). In livestock rearing operations where a large volume of water is used on a continuous basis units able to offer a larger daily capacity may be warranted. In a multi-family apartment building (or condominium project) instead of individual suites or units having their own in-suite AquaKat®, greater economies of scale can often be achieved by installing one or more the larger-sized (XL or XXL) AquaKats to serve the whole building. Likewise, in larger scale industrial operations or commercial operations (i.e. a hotel), it can be more economical and practical to install one of these larger unit. For these types of applications it is best to consult a Penergetic/AquaKat distributor for advice as to the best approach in addressing your particular situation. Also, as referenced under the section on Penergetic w (for water reclamation), there are “special” waterproof XXL AquaKats and AquaKat water modules (water units) that are specifically designed to assist in the remediation of water bodies. Refer to penergetic w for information on these special devices. The ThermoKat is a special purpose form of the AquaKat intended for use on a hot water heating system (e.g. in-floor heating system, hot water boiler) where water typically is recirculated. The ThermoKat has the effect of increasing the efficiency of the hot water system by vitalizing the water and preventing the problem of recirculated water becoming muddy (or brownish color) due to a “battery effect” – the minute corrosion of metal alloys on the heating system. Fix to the water line after the boiler, the ThemoKat helps prevent the water from loosing a certain vitality resulting from heating. Advantages: activated water, better heat transfer, less residue and reduces deposits on expensive thermostats. The AquaKat has been in use in Europe for about twenty-five (25) years. The “Original” AquaKats sold 20 years ago are still in use today – they do not run out, expire or become obsolescent. They simply continue to produce revitalized water. The AquaKat is designed as a “one time” purchase.